Two months ago, Gartner devoted a Magic Quadrant for the Hyperconverged Infrastructure market and placed Nutanix as the leader in the upper right-hand corner. On top of its recognized leadership status, Nutanix serves as the #1 HCI market share leader. The recognition of the HCI industry is of no surprise as Gartner predicts that 20 percent of business-critical applications currently deployed on three-tier infrastructure will transition to hyperconverged infrastructure by 2020. HCI is a new type of IT framework architecture that combines compute, storage, networking, and software-defined intelligence into a single system that reduces data center complexity while increasing scalability. Clearly, companies are recognizing the advantages of hyperconverged infrastructure within their enterprises. Traditionally, implementing a new data center required substantial planning, lead-time, and coordination in order to appropriate all of the required multiple components and the vendors that built them. These large allocated time windows are no longer necessary today as HCI allows for the rapid deployment of the core building blocks of compute, storage, and networking in easily stackable modular units. Like Lego blocks, the HCI units can be easily scaled and rapidly configured. In addition, HCI adds tremendous versatility and flexibility to an enterprise as its virtualized web-scale architecture allows workloads to be easily shifted between locations. In short, HCI gives you the offerings of the public cloud, while offering the ability to host workloads on-premises when needed. So why all the excitement about Nutanix versus other solutions on the market? IDC, a premier global provider of market intelligence concerning Information Technology, recently did a study involving companies that deployed Nutanix and transformed their data centers into a next generation enterprise. The study outlined several benefits realized after deployment. Based on those findings, here are five reasons why your next generation data center should also include Nutanix. One of the challenges of implanting the digital transformation of your organization is finding talented people with the necessary skill sets as technology is changing so rapidly today. Study participants experienced an average savings of 61% in IT staff time involving the deployment and management of a Nutanix solution versus traditional legacy infrastructure. Customers confirmed that less people were needed to manage their Nutanix environments. This increased productivity translates into costs savings as well, projected at ($12,884 per 100 users). All of this is attributed to the automated and software defined processes of the Nutanix Solution. Greater staff productivity creates more value than just reduced man-hours though. It also frees up your staff to focus on value added projects that will in turn create even more value and contributed savings to the organization down the road. Investing in traditional legacy data center hardware requires substantial CAPEX, but nothing is more expensive than downtime. Downtime not only equates to IT staff disruptions as personnel scurry to address the problem at hand. It also interrupts business core operations, which disrupts and curtails company revenue. Nutanix offers a single view of your entire environment, which improves disaster recovery, failover and overall management capabilities. Study participants reported fewer unplanned outages as well as the ability to resolve problems faster. IDC estimates a value of higher user productivity and revenue losses avoided at an annual average of ($6,516 per 100 users). Scalability is important in today’s dynamic fast-paced business world in which windows of opportunity and product life cycles continue to contract. Imagine having the ability to simply add more storage or equipment when you need it. Nutanix makes that objective obtainable due to its HCI architecture in which storage and compute pools are simply components that can be added and subtracted within your environment. Participants in the study were able to complete compute deployments in 73% less staff time and storage deployments in 68% less staff time. This allows them a far greater ability to quickly match business demands with IT resources to achieve a near constant balance between the two. The digital transformation of companies today has greatly accentuated the importance and standing of internal IT. In today’s hybrid enterprise cloud environments, the IT department is no longer comprised of a staff of break-fix technicians. It is no longer a congregation of datacenter hardware and cooling systems. IT is a brokerage house, where highly trained personnel find solutions to business problems and matching workloads with optimum environments. An IT solution today must do more than provide value that is measured by technical means and statistics. Is must also offer more than just short-term cost savings. 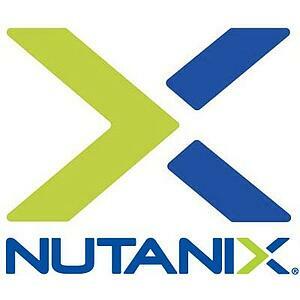 It must provide value to the business itself, which is what Nutanix is all about. When your enterprise is more flexible, your business can be more nimble. When your IT staff can be more creative, your company can be more innovative. When your IT investment creates more value, your company is more valuable. Nutanix is more than a technology solution; it is a business solution, one that not only enhances the makeup of the enterprise, but the very nature of your business itself. NEXT STEPS: Learn more about the advantages of hyperconverged infrastructure and find out if it's right for your organization in our white paper below. Mark Gabryjelski, VCDX #23, leads up the Virtualization Practice here at WEI where he identifies, validates, and introduces new technologies that our customers can use to simplify and control their data center operations. Mark works with clients across all industries in the design, implementation and support of solutions that enable our customers’ consumption of virtualization technologies. Mark is an author and also conducts several of the customer training sessions in the WEI Knowledge Transfer Center (KTC).